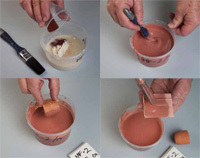 Developing your own glazes can be tricky because success depends on so many factors. In Developing Glazes, Australian ceramic artist Greg Daly aims to demystify the whole glaze development process with practical advice and complete, step-by-step instructions. 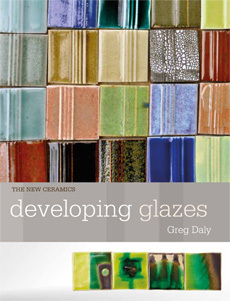 A practical glaze book for clay lovers at any skill level, it’s the perfect addition to any ceramics library. For any potter beginning to experiment with fired color, texture and decoration in their work, Developing Glazes is an essential reference, revealing workable, exciting techniques for achieving the glaze results you want. You’ll discover the importance of recording, weighing, mixing, safety, and various systems for testing. Greg covers all the essentials, from planning your recipes and recording results to mixing glazes and finding the correct firing temperature. You’ll understand how variables like materials, the clay body, heat, type of fuel, kiln atmosphere, glaze application and even how you interact with a glaze all affect your results. This hands-on technical guidance is supported with helpful how-to images and literally images of hundreds of test tiles showing results of firing different recipes at earthenware, mid-range and high fire temperatures in both oxidation and reduction atmospheres. 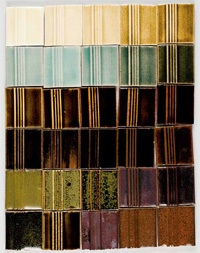 These test tiles reveal how different amounts of colorants and basic ingredients can affect color and maturing points. 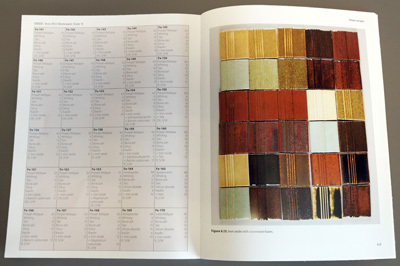 The final section of Developing Glazes contains 17 pages of glaze recipes and hundreds of fired examples. You’ll be able to see how different colorants and fluxes change when added in different amounts, fired to different temperature ranges, and fired in different atmospheres. Since Greg is Australian, he’s included an appendix showing equivalent frits and raw materials, but the important thing these pages reveal is just how much variety is available from any combination of materials.